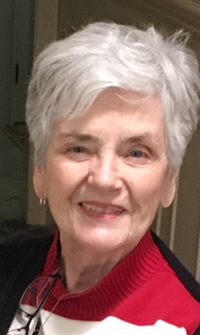 Mary Lappin Klein, a Staatsburg NY resident and parishioner of the Good Shepherd Church in Rhinebeck, NY passed away at Vassar Hospital on January 21, 2019 after a graceful and defiant battle with cancer. She was born June 22, 1932 in Brooklyn NY to the late Patrick Lappin and Lena Pryor Lappin. Mary worked for IBM in a number of roles from 1953 through 1989 when she retired from her position as a Manager of HR and Communications. She started her IBM career in New York City followed by roles in Kingston, Yorktown Heights and Poughkeepsie. Mary was a dedicated leader and colleague who valued the friendships she made throughout her career. After her retirement, Mary worked at the Astor home in Millbrook, NY and volunteered with her husband Bill at the Baptist Home in Rhinebeck, NY. Mary was a loving and dedicated wife and shared 55 happy years of marriage with her husband Bill until his passing in October, 2015. She was a cherished sister to all of her beloved deceased brothers, Patrick and his pre-deceased wife (Eleanor Lappin), Brian, Eugene, James and DeLaSalle Christian Brother Adrian Eugene (Sean), all of whom affectionately called her Sis. Mary is survived by her dear sister-in law’s Annette Lappin of New Paltz, NY, Dorothy Lappin of Brookfield, CT and Rosemary Klein of Poughkeepsie, NY. Mary is survived by her daughters Donna Klein Sceusa of NY and Laura Klein Brent of CO (and her husband Jeff Brent), her beloved grandchildren Amanda Sceusa Walter (and her husband Greg Walter) and Nick Sceusa. Mary is survived by many nieces and nephews, their spouses and grand nieces and nephews and dear friends. Mary was a kind, graceful, gentle and giving person with quiet strength. Her strong faith and will were ever present with a special dedication to St. Francis. The family will receive friends on Friday, January 25 at the Dapson-Chestney Funeral Home, 51 West Market street, Rhinebeck, NY 12572, dapsonchestney.com, 845-876-6000 from 3pm to 7pm. The family wishes to extend their heartfelt appreciation to all of the physicians, nurses, caregivers, family and friends who touched Mary’s life and the caring staff at Vassar and Northern Dutchess Hospitals. A Mass of Christian burial will be held at 11:00 am on Saturday, January 26 at Good Shepherd Church in Rhinebeck with Fr. Crawford as the celebrant.